But who decides on what will be the ‘changed’ character and ‘new’ composition of a community after the construction phase of a development? Is it just undirected happenstance or can we create the means to identify community needs and priorities to achieve the preferred social, economic and environmental outcomes as an intentional result of a major development? 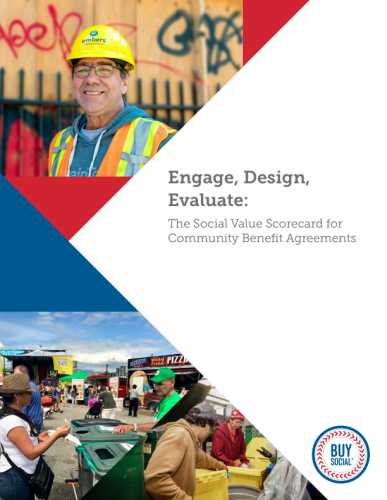 Community benefit agreements (CBAs)are a tool to allow for value to be defined by and to accrue to the neighbourhoods most directly affected by the new development. A CBA allows local residents, social enterprises, and businesses to share in the design of the future of their community.